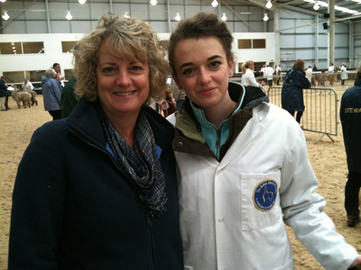 Karen and Peter Oglesby have been breeding prize-winning alpacas since 1998. With a herd of around 50 huacayas we know each animal as an individual - they are part of our family!. We started with just two boys to graze alongside our horses, but very quickly became totally hooked. 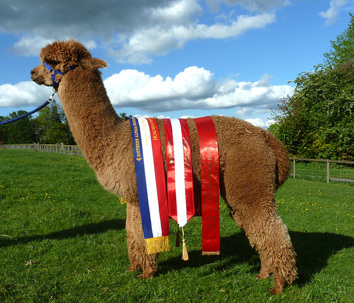 Breeding and selling alpacas has been a thriving business, and enjoyable life-style for almost 20 years. Showing our alpacas We are proud to be breeding elite quality, healthy and happy alpacas, which are easy to handle, friendly and calm. ​The majority of our herd have been successfully shown gaining many Championships along the way..
Our aims with our breeding programme has always been to improve our herd quality with each generation, with sound conformation and advanced fibre characteristics. We are achieving this with careful selection and breeding choices using World Class genetics. We can arrange all the necessary export testing, paperwork and transport required. We are able to offer comfortable self contained accommodation for those who are travelling from afar.